Bees pollinate fruit and vegetable crops and are essential to our food production and to the continued sustainability of the world-wide food supply. They are the only insects that produce food for human consumption, and bees pollinate plants from which treats like coffee and chocolate are derived! Bees also play a vital role in sustaining life and diversity in our natural forests through pollination and their contribution to various stages in the food web. But the bees need help. 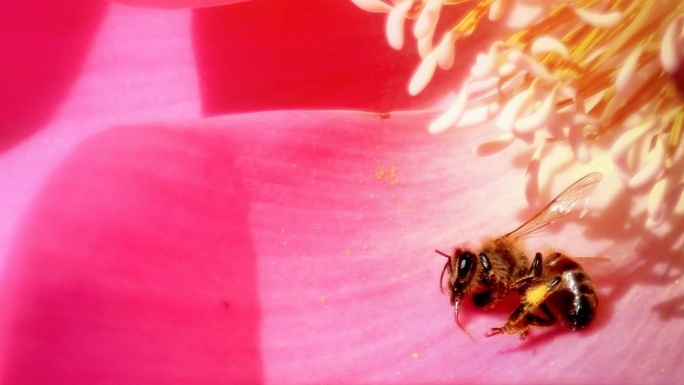 The increased use of insecticides, the destruction of natural habitat and the effects of climate change have had a significant effect on bee populations around the world. 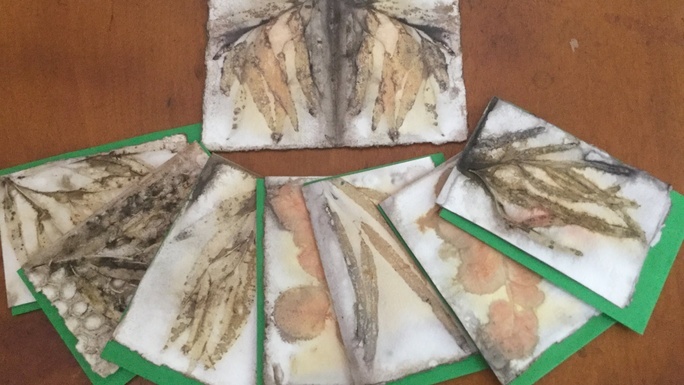 Golden Bee is an international collective with a common interest in using art and literature to explore bee ecology, and our shared relationship with bees through culture, mythology in our social and built environments. With over 800 members worldwide Golden Bee is developing a network of creative thinkers and makers that are concerned with the state of the global biosphere, with the bees as a critical element in that balance. and present a series of exhibitions and events that draw attention to the plight of bees’, symptomatic of broader environmental issues. an online archive containing the collective’s creative productions. Golden Bee Collective team members self-fund their own travel, accommodation, postage and admin costs. We volunteer their time and contribute their personal resources to the project because we're committed to continuing the cause - continuing to develop and present productions and environmental / community cultural development projects. We are seeking support to help us pay for the presentation, administration and other costs involved in these two projects. Please contribute as much or as little as you can and we’ll continue working for a sustainable culture based on rational science in conjunction with a sensitive understanding for the perfection that is the natural world. $40 Membership - you get a hand printed golden bee t-shirt (including postage to where ever you are in Australia), have your name / link listed on our website and automatically go onto our mailing list. $25 - $250 Various priced items for purchase from members of the collective including Nina Dawson, Robyn Veneer Sweeney, Fairlie Sandilands, Edwina Blush and Bernadette Boscacci. 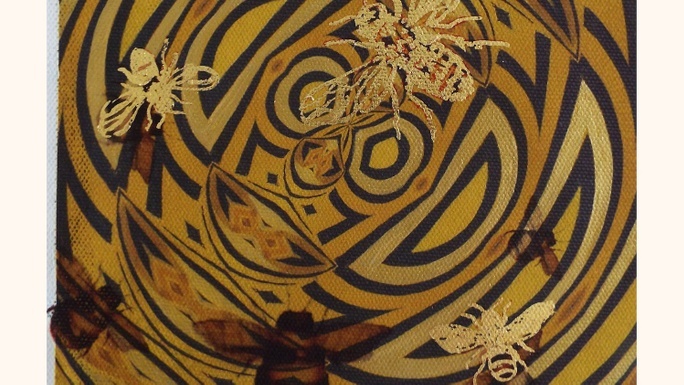 Bernadette Boscacci is producing limited edition Golden Bee screen prints on 100% linen teatowels and 100% cotton tshirts to support her work for the project. See designs here $25 each + $10 postage and handling in Australia. Get in quickly because the costs of Tshirts will be going up $5 in 2018! Golden Bee is a global creative collective, working together to draw attention to bees (and all pollinators) and their plight in relation to broader environmental issues. Our campaign has some beeutiful perks on offer designed to support our project. Robyn has generously donated one of her works now too! This is a unique state pigment print on canvas, that she has reworked with acrylic pigment and applied leaf, 170mm x 170mm (Mounted size 230mm x 230mm). Est. Delivery Date: Within 2 weeks of receiving your donation. 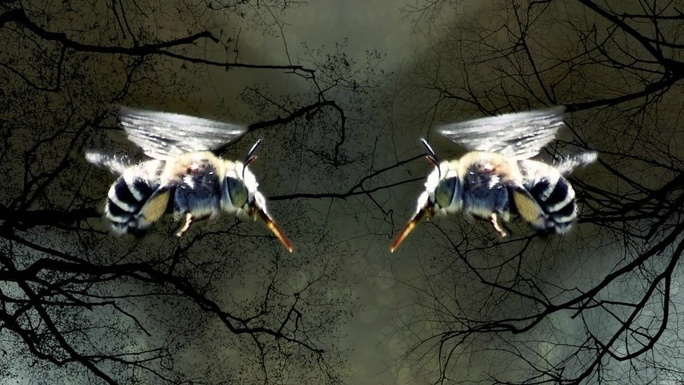 Fairlie has generously donated a selection of her original bee photographs and digital art prints to be sold as perks. They are approximately 20 x 30 cm in size. This photograph is called 'Worked to death'. $25 Handmade cards by Nina Birdtribe. Est. Delivery Date: Cards will be dispatched within a week of your donation being lodged. Est. Delivery Date: if you pay $20 more and can wait until June for delivery, we'll personally print a golden bee on it for you.